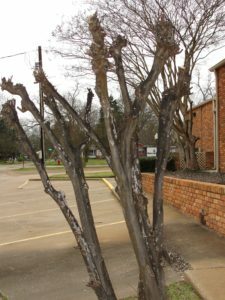 Yes, I know you are sick to death of me ranting about “crape murder,” the annual misguided copycat habit of butchering crapemyrtles. Folks tell me to cut it out, but I can’t. Apparently I’m going to take my perplexed irritation about it to the grave. But there’s a new twist that’s come to light that gardeners across the South need to know about—crapemyrtle bark scale. It’s a game changer in the Lagerstroemia world. For those of you not familiar with this relatively new (to the United States anyway) Chinese insect, it’s not good. It’s a scale insect that mostly dines on crapemyrtle bark while secreting the typical sweet honeydew that black sooty mold grows on. The sooty mold is harmless. The insect is not. 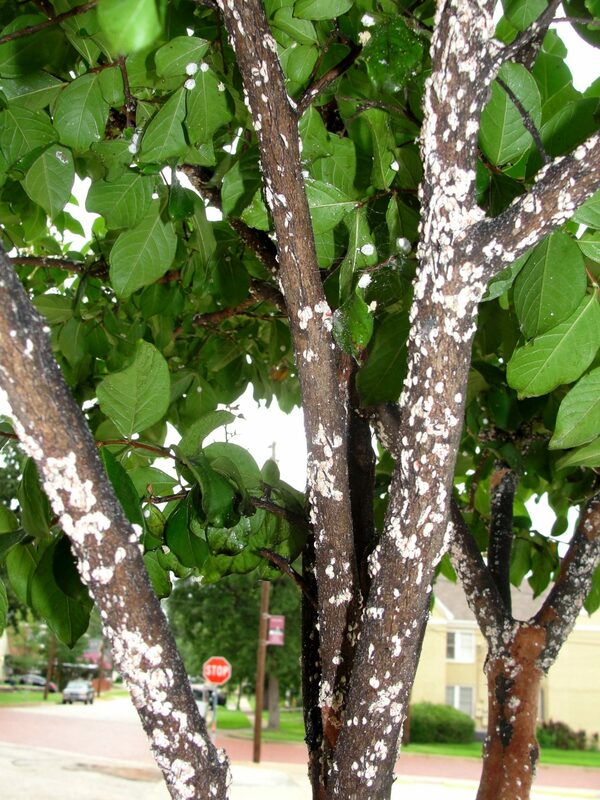 Though the scale doesn’t kill the tree, it does reduce its vigor by about one-third, while turning the trunks and branches and ugly black, spotted with white. This next bit of information is not scientific so don’t tell my Texas A&M AgriLife Extension Service bosses. It’s my own anecdotal observation. 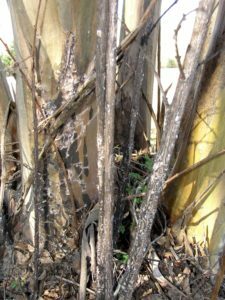 First, I suspect that mass annual pruning and branch hauling has had something to do with the rapid spread of crapemyrtle bark scale. It seems more than coincidental to me that most crapemyrtles in Tyler, Longview, Shreveport, etc, are topped each year and most have the scale now. Where do all those trunks and branches go once they are cut? Surely they are hauled up and down the highway with branches, insects, and eggs falling off along the way. I watched the scale myself spread from infected plants on the nursery pad and in the flower bed to large established trees in front of the Texas A&M AgriLife Research and Extension Center in Overton. Several years ago I also noticed that the one lone topped tree at a bank in nearby Garrison had bark scale and the larger unpruned ones didn’t. My first thought was that the guys pruning them brought the bark scale with them from Nacogdoches. This tree is 10 miles from my beautiful crapemyrtle allée in front of my house and less than a hundred yards away from the rows of crapemyrtles they now butcher annually in front of the cemetery in Garrison. This is the same cemetery where they cut down one-hundred-plus year old post oaks so the newly planted crapemyrtles could have more light—only in East Texas. Now it’s personal. If my beloved heirloom purple crapemyrtles that I rooted from cuttings 20 years ago end up being infected with crapemyrtle scale because of idiots that can’t read making a business out of vandalizing people’s landscapes, I’m going to be beyond seething mad. This brings up another point I’m been hung up on since the beginning of this widespread trend. There isn’t one book, one manual, one publication, or one expert on planet earth that recommends topping crapemyrtles, yet thousands upon thousands do it. Why would foks do something that all experts say not to do? Crazy. Back to the butchering: I’ve also noticed that the scale insect likes to congregate on young growth and callus tissue, both which are produced in excess after pruning on trees. I’ve also noticed that the scale insect likes to hide and proliferate between damage scars and narrow crotch angles once again are produced in profusion after topping crapemyrtles. 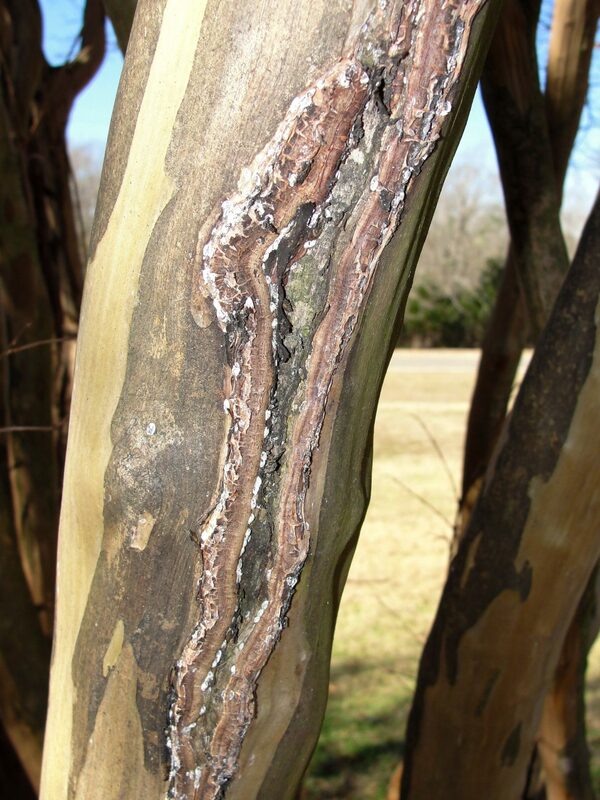 Do you mean to tell me that the worst insect to ever come along on crapemyrtles seems to have been spread or made worse by nuts doing something they were told not to do in the first place? Forget seething, I think a vein is going to jump out of my head! Crapemyrtles never asked for anything in Texas except sunlight and to be left alone. They, along with crinums and assorted Narcissus, were often the lone survivors on abandoned landscapes long after the homeowner and home were gone. Other than pruning out a few dead branches you honestly had to do nothing to them, as they were beautiful on their own. And now thanks to folks messing with them, I’m going to have to apply systemic neonicontinoid insecticide early every spring until I die? What the heck?! I’ll have to admit that perhaps I’m part of the problem. I’ve been harping on “crape murder” for 30 years now and the problem has only grown exponentially worse. Maybe I made it worse. Maybe folks are doing it in mass to irritate me. It’s working. Yes, friend Felder, it’s their right to do anything they want with their trees. Yes, pollarding goes back centuries in Europe (starting as a source of stove wood for the urban poor). Yes, I should shut up about it since I’m not having any effect on the outcome. There are folks that actually get mean and nasty now when told not to prune their crapes. So be it; to each his own. 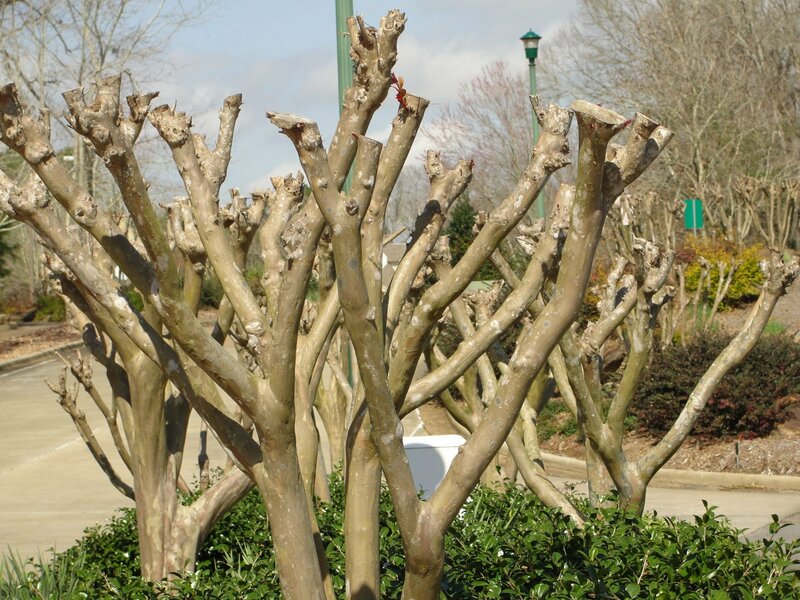 I personally don’t care if you have ugly crapemyrtles. However, I am a teacher, an art lover, and a scientist. I do not believe in folks doing the opposite of what science teaches them and I do not believe in turning something beautiful into something hideous. I also do not believe in wasting money, labor, gasoline, and time. So glad I am not the only one irritated by the butchering of Crapemyrtles!! I have asked my people why they do it and they always answer that it makes them bloom better. I, on the other hand, who NEVER has pruned my Crapes have gorgeous blooming trees every year. Go figure!! Mine have been in Southern Living and have never been pruned, so go figure. I HATE the big knobby knots on these beautiful trees. I love the natural look of an unmurdered crepe myrtle. I have one in my yard that’s been completely left to ‘do it’s thing’. 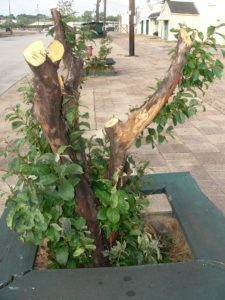 Have written several articles on this lazy method of pruning. Hope people will read and listen. Yes sir! Keep it up, but don't let that vein leave your head.